Spring time in Florida is beautiful. I love throwing open the French doors when I bring Rebekah her morning coffee, letting 65-degree air freshen up the house, and enjoying the wash of fresh color as so many flowers put on their best show at this time of the year. It’s our last splurge of open-window air before we hit the long summer stretch of 24/7 air-conditioning and 99% humidity. Soon we’ll have to give Scout her summer hair-cut, check my supply of shorts and sandals, and say goodbye to jeans till we get the other side of Thanksgiving. THANKFUL: I used to resent the summer here. I admit that I’ve been known to whine about the heat and long for some cool mountain air (and, if we have a repeat of last week’s AC emergency, I’m sure I’ll be complaining again…). But I’m really not sure I could pull off that level of self-absorption any more. I certainly hope not. You see, there’s been a shift in my foundational orientation toward temporary things – such as life, mortality, possessions and the world around me. And I believe it’s largely because of Lent and because of my commitment to more deliberately engage the meaning of Easter. My brother Geoff’s recent journey to the end of his life. Our pilgrimage to the Holy Lands and the progressive opening of my eyes. 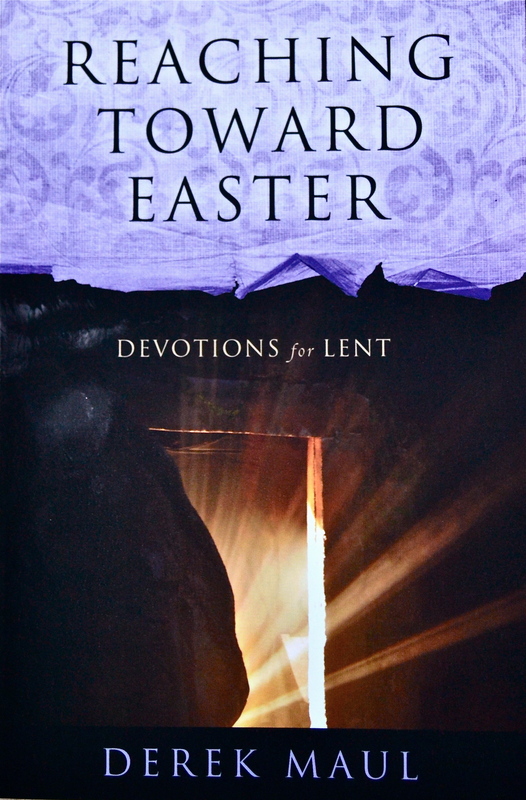 The REACHING TOWARD EASTER initiative and how this ongoing study has continued to inform my personal journey. PALM SUNDAY: And so tomorrow – Palm Sunday – kicks off the observance of Holy Week. There is no place to begin this stage of the journey to Easter other than at church, with a life-charged community of faith. If you don’t have plans to attend somewhere else, I’d like to invite each one of you to join us at the First Presbyterian Church of Brandon. We have two services, 8:30 and 11:00. With Easter just another week ahead, I’d like to challenge everyone to be deliberate and focused through HOLY WEEK, starting with Palm Sunday. Make sure that you take in the gravity, the promise, the hope and the eternity that is bound up in the week-long Passion of Christ.